Research highlights the presence of women role models as a potential predictor of women pursuing STEM careers. With fewer women employed in higher positions in science, technology, engineering, and math, it can be tricky for young girls to find role models with whom they identify with. This webpage, “NASA Women of STEM” is an excellent resource for young women to hear stories from women employed in top-level careers in science, technology, engineering, and mathematics. Click on the photos of each woman to read about their personal story, and how they are making a meaningful difference solving some of our world’s most relevant issues. So why not shoot for the moon when determining your career path? 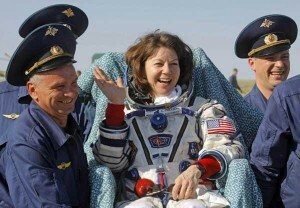 If these powerful women of NASA got there, you can too!